The number one question that comes to your mind is, does it actually contain liquor?? Well, in short, it doesn’t. Chocolate liquor is also called cocoa liquor or cocoa mass. Chocolate liquor is produced by grinding the nibs, or meat, of the cocoa bean. It contains both cocoa solids and cocoa butter in both roughly equal proportion. Also called unsweetened baking chocolate. Chocolate liquor is a thick, gritty, dark brown paste that liquefies when heated. Chocolate and liquor paired together, you’re looking at a seriously awesome time with your friends and loved ones. Candy is dandy, but liquor is quicker! 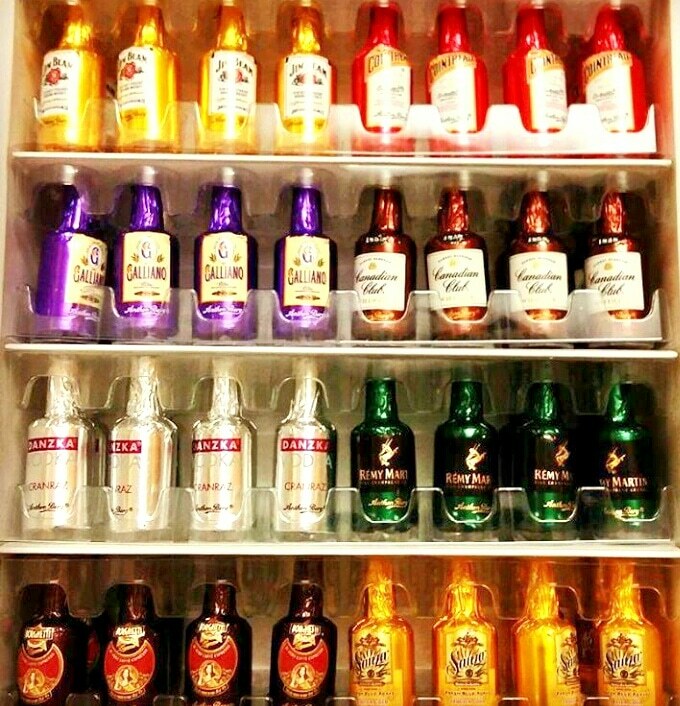 These liquor-filled chocolate bottles are the perfect solution to satisfy your bubbling desire for an adult beverage. There are variety of pack of liquor-filled chocolate bottles available that can be used as a veritable candy bar at your next holiday party, corporate event, or social mixer. Each chocolate bottle contains a minimum of 55% cocoa and a maximum of 5% liquor, so you can sit back, relax, and have a good time without getting into the hangover mode. The holidays have never been more spirited than with some of the finest spirits surrounded in chocolate. These liquor-filled chocolate bottles gift box is perfect for the holidays, birthdays, anniversaries, or any special occasion worth celebrating. In Frame – Anthon Berg Chocolate Liquor. Let us know what’s your take on Chocolate Liquor? Previous PostThe Delicious pancake @99 Pancakes..!! Next PostOur Jungle Safari @Rain Forest Restro!